Forty five documentary films on Bangladesh was previously listed in five parts – Part 1, Part 2, Part 3 and Part 4 and Part 5. Here are few more. They are in random order. Bangladesh was part of a documentary or an episode in a document series. ‘Call me Salma‘ is a documentary film about love and loss. In the crowded back alleys of Dhaka, Bangladesh, Salma enters the mysterious and rich world of transsexuality. Salma, a 16-year-old Hijra, abruptly left her village and family to enter the effervescent city life in search of a clear identity, a new family and above all, a sense of acceptance. Emotionally torn between her youth and her desire of being a woman, Salma decides to return to her village and face events that force her to question the preconceived notions of gender, family and love. The documentary was broadcasted in ARTE, (Europe), EBS (South Korea), and Direct 8 (France). Official Selection of Artivist Film Festival, Los Angeles, 2010; Festival des Films du Monde de Montréal, 2010; Warsaw Film Festival, 2010, Poland; EBS International Documentary Film Festival, 2010, South Korea; Bangladesh Documentary Film Festival, 2010; Rendez-vous du cinéma québécois, 2011 and Vancouver Queer Film Festival, 2011. The doc is made by Bideshi Films. 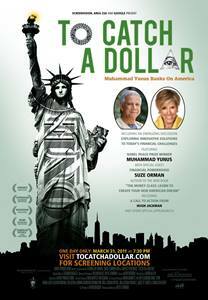 To Catch a Dollar: Muhammad Yunus Banks on America is a powerful documentary by Gayle Ferraro. Her film follows Nobel Peace Prize winner Professor Yunus as he establishes his unique and revolutionary microfinance program in the US. Witness the birth of Grameen America and the compelling stories of the first micro-entrepreneurs; from the challenges they face to the successes they achieve. These inspiring women learn to rise from poverty by starting and growing their own sustainable businesses with the education, peer-support, and non-collateral microloans they receive from this innovative and successful system of not-for-profit banking. 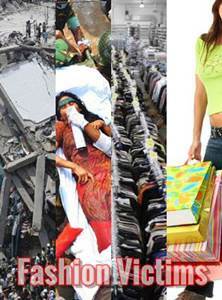 Fashion Victims looks at the real cost of cheap clothes from the conditions of sweat shops in Bangladesh. On 24th April, 2013 more than a thousand people were killed when an eight storey building collapsed in the heart of Bangladesh’s capital, Dhaka. The collapse of Rana Plaza turned the world’s attention to the shocking conditions workers in the country’s clothing industry are forced to endure. In recent years, Australian companies have flooded into Bangladesh to take advantage of lax labor laws and the lowest wages in the world, paid to the predominantly young, female workers in the factories. Human traffickers use children to race camels in Bangladesh, Pakistan and other countries. Camel racing is a popular sport in the Middle East. In past years, thousands of young boys have been trafficked from Bangladesh, Pakistan, Mauritania and other countries to work as jockeys in the UAE under excruciating conditions. Over the last 10 years, some governments have tried to put an end to the use of child jockeys. Desert Riders will examine the situation before and since these government policies were enacted, as well as the difficult journey to retrieve and recuperate these children. 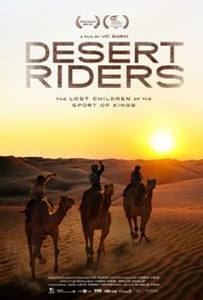 ‘Desert Riders’ Examines Abuses in the Camel Race Industry. 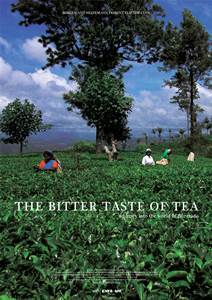 In the beautiful lush tea gardens in Kenya, India, Bangladesh and Sri Lanka, millions of tea-workers struggle everyday fighting to survive. They are plucking tea for multinational companies such as Lipton and Finlay’s.The companies promise the consumers, that they will act as responsible members of the global society protecting the environment and ensuring good working and living conditions for the workers. Nothing could be more wrong. The western consumers have turned to Fairtrade because Fairtrade/Max Havelaar guarantees, that the workers in the Fairtrade certified tea estates get a little extra money, every time the consumer buys their tea. This film tells the true story of how Fairtrade is not at all fair. The Bitter Taste of Tea is the 3rd documentary of Flip the Coin series. Other two docs in this series are ‘The Micro Debt’ and ‘A Tower of Promises’ also discussed issues related to Bangladesh. The film is sold for distribution in 10 countries and has won ‘The Al Jazeera Film Festival’ and the FAO ‘OSIRIS’ award. This is a six part nature and travel documentary hosted by Simon Reeve. At 5th episode Simon reaches Sri Lanka, whose strategic location and tropical spices made it a target for invaders and colonizers for centuries. In the north he visits the scenes of vicious battles between the Tamil minority and the Sri Lankan army, traumatic events from which the population is still recovering. On his way to Bangladesh, he hitches a ride on a trawler, highlighting one of the Indian Ocean’s fastest-growing industries – providing prawns for the West. But as he reveals, it comes at a price for the environment. 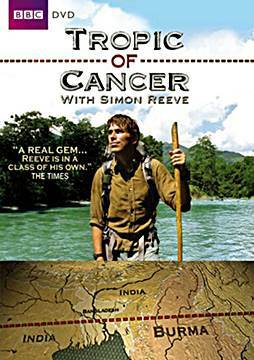 A sociopolitical and travel documentary presented by Simon Reeve and made by BBC. the series has six episodes. Fifth episode takes Simon through Bangladesh and on a perilous covert journey into Burma, where western journalists are banned. In Bangladesh Simon sails down the mighty Padma River and visits fishermen who use trained otters to drive fish into their nets. Further on he sees the river banks crumbling before his eyes – increased river erosion is thought to be caused by global climate change – and in the capital Dhaka he meets some of the millions of child workers. From North East India, Simon treks through jungles and across rivers into Burma to meet the Chin people – an ethnic group who are brutalised and oppressed by the Burmese government. Maps of Bangladesh you may never seen or how to draw map the British way!